iPhones can be tempting to use and the ease with which apps can be bought or downloaded for free means users often splurge. For iPhone X, iPhone 8 or iPhone 8 Plus, you don’t have to worry about the device space, but keeping your iPhone clean is wise. The much easier way to keep your iPhone clean is to get rid of those apps that you don’t need or don’t use. Yeah, it might have made sense when you got it, but time has shown you really don’t need it. So why not get rid of that app. Here are some tips to help you do this nice and easy. 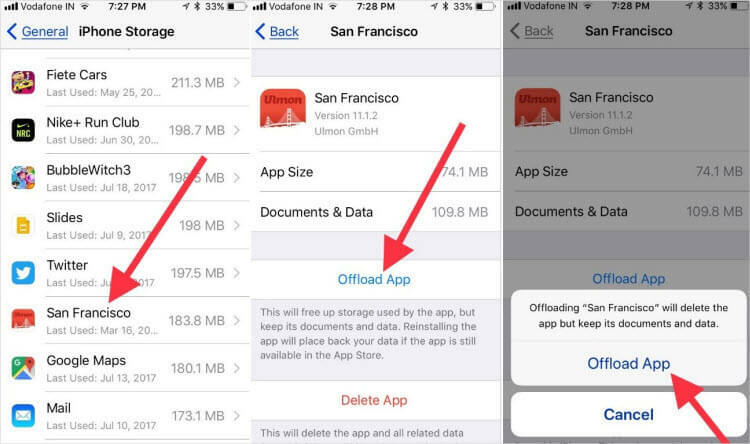 As you well know, deleting an app off your device and having its data completely gone, are two different things. More often than not, when you delete anything on your iPhone, it’s not entirely gone. It can still be recovered by those who know how. The best way to permanently erase these apps and all data associated with them is to use iMyFone Umate Pro. 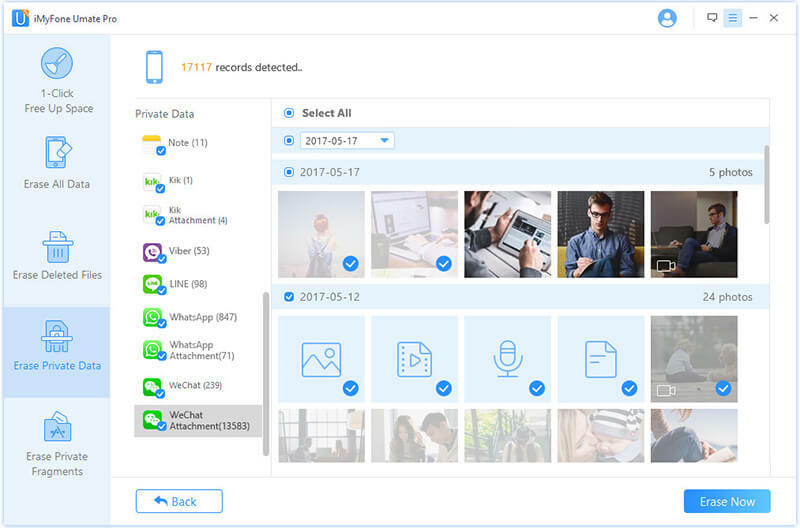 Umate Pro offers first-rate device and app cleaning that lets you delete as many apps as you want in one click. Recommended by professional media around the world: getintopc.com, MacWorld, APPKED, etc. Step 1: Launch Umate Pro on your PC then connect your iPhone to the PC. Step 2: Click “Apps” tab from the home interface. Umate Pro will analyse and show you all the apps on your iPhone. It will also show you the space every app occupies. Step 3: Check the apps you don’t want and click Remove. Confirm this action by tapping Remove from the pop-up. It will start to erase the selected apps. The erasing process is very fast. 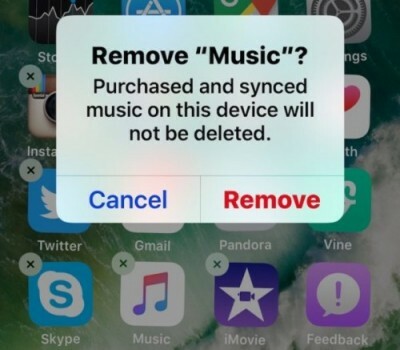 The process of deleting apps off your iPhone X/8/8 plus can be quite easy. The easiest way is off your home screen. 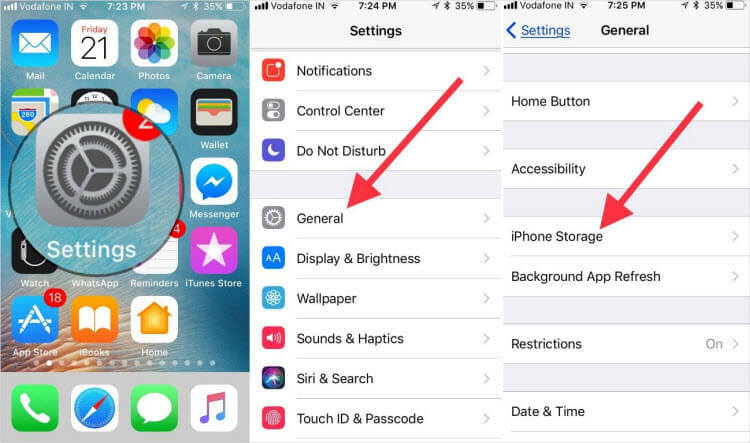 Step 1: Press your device home button to go to the home screen. Step 2: Tap and hold any app icon until all the icons start wiggling. Step 3: You’ll notice that the wiggling icons have a small “x” at their top left. Those icons that don’t have an “x” are system apps that your iOS needs to function. So you can’t delete those. Step 4: Tap on the “x”, then tap Remove in the dialog box that pops up. This deletes the app and all its data. What if you just want to clean cache or data from apps? You also have the options to do it. As iPhone X/8/8 Plus doesn’t provide the built-in cleaning feature to just clean cache or data, the way most iPhone people use to clean apps is uninstalling and reinstalling apps. But this is not the only way if you have iMyFone Umate Pro iPhone Cleaner available. Umate Pro allows you to decide to keep an app but let go of the data. Even better, you don’t have to worry over the recoverability of the data. Once you delete with Umate Pro, the deleted data is 100% unrecoverable. 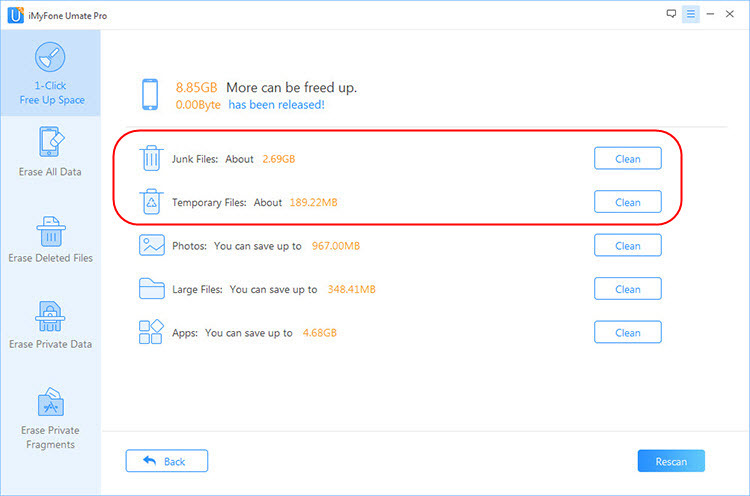 1-click remove all app cache, corrupted files, logs, damaged files, temporary downloads, and other useless data. 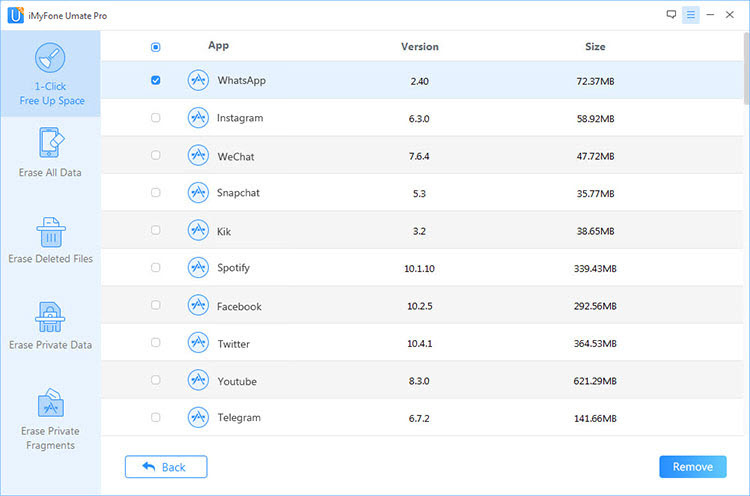 Wipe all the fragments or traces left by third-party apps, leaving no tracks. Step 1: Connect your iPhone to computer and open Umate Pro on it. Step 2: Click “Quick Scan” from the home interface and let Umate Pro analyse what is taking up space on your device. Step 3: The space analyses will show you the state of your device space. Simply tap Clean button beside Junk Files or Temporary Files. 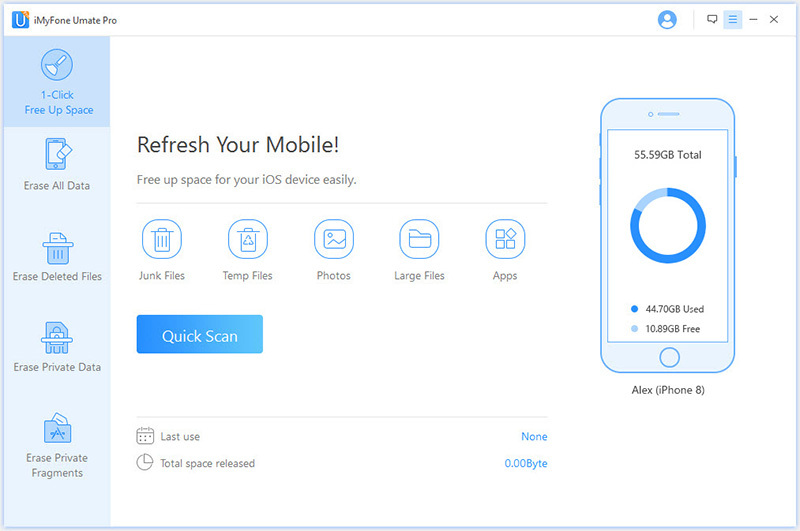 It will start cleaning the useless files from your device. Step 1: Again, connect your iPhone to Umate Pro. 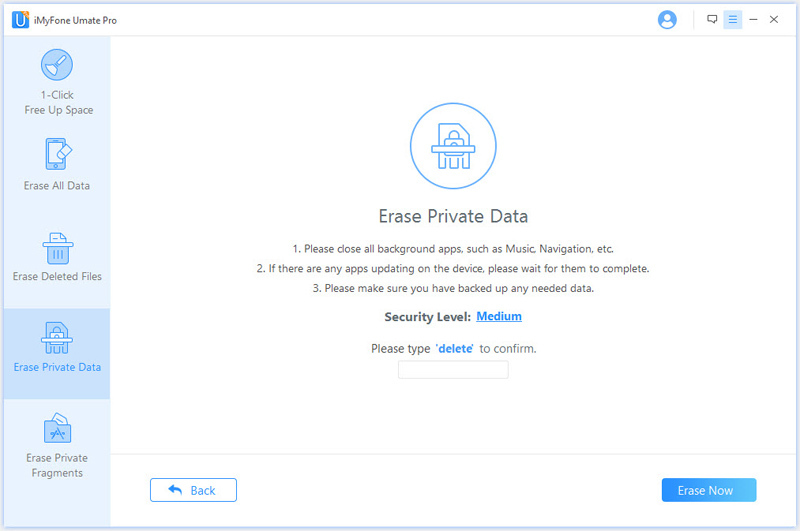 Step 2: Instead, choose Erase Private Data from the left-side menu. Tap Scan and it will start analyzing your iPhone. If you want to clear third-party apps incomplete traces, choose Erase Private Fragments. 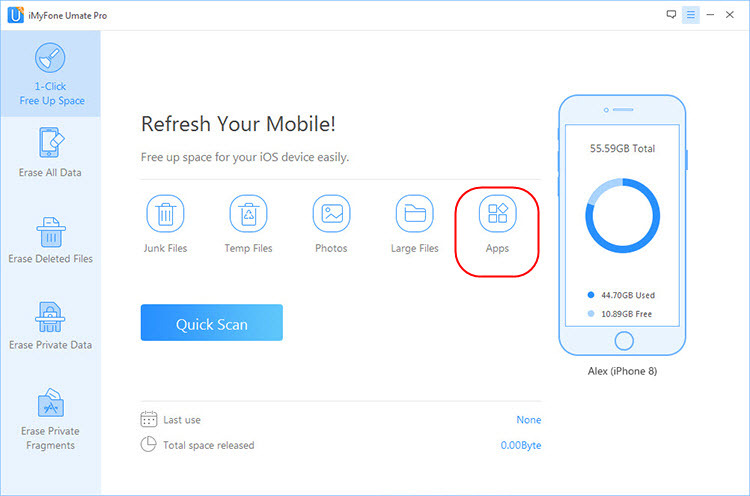 Step 3: When scanning is done, it will show you all the private data on your iPhone. You can double-click on it to preview. Select unwanted data and then hit Erase Now. Step 4: Type “delete” into the box and click on Erase Now to confirm. You can also erase apps without deleting their data and documents. This is especially useful if you want to remove the apps but feel you would need them later so you don’t want to lose your data and completed levels etc. The easy way to do this is to use the “Offload App” feature from your iPhone settings. This feature is only available on iOS 11 device. Step 1: Go to “Settings” on your iPhone. Step 3: Tap on “iPhone Storage”. This will bring out a list of the apps on your device. Step 4: Tap on an app and you will see the space occupied by the app and its data. You will also see two option: Delete App and Offload App. Step 5: Select Offload App. This removes the app and leaves the documents and data associated with the app for when you need them again. Erasing apps can be easy when using your iPhone interface. 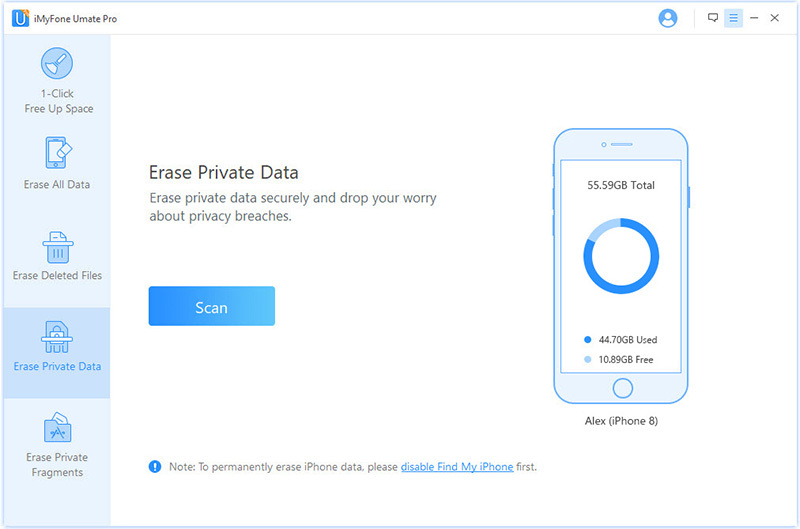 However, to get the most secure erasing experience, use iMyFone Umate Pro. It erases apps in bulk, cleans app cache or data, which gives you more options to keep your iPhone clean.